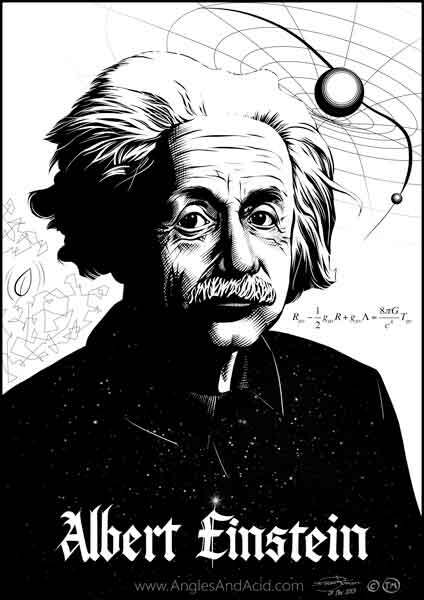 One of the most famous scientists, Albert Einstein helped reinvent the way we view the universe through his theory of general relativity which underpins the workings of Global Positioning Satellites (GPS), and other applications in space exploration. 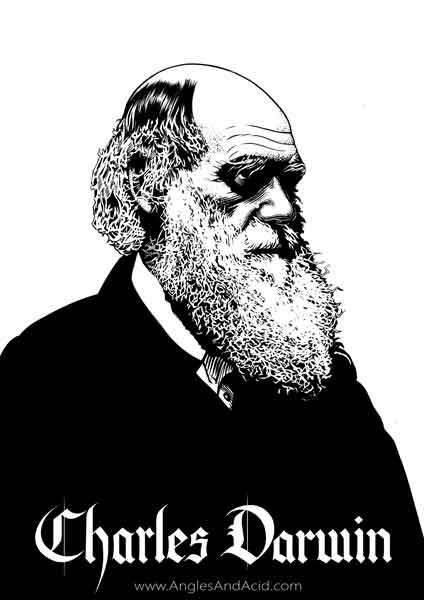 This illustration was made to capture his brilliance and inspire viewers to learn more about what he was about. 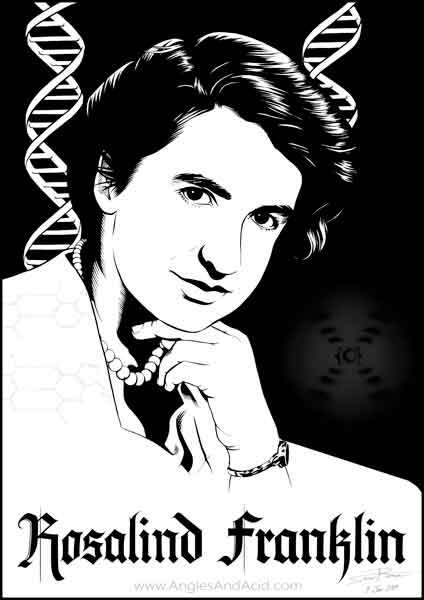 Rosalind Franklin was one of the scientists that made it possible to discover the true structure of DNA and thus enable further research into how cells are able to replicate. Her expertise in x-ray crystallography enabled her to image the DNA and identify that it was a double-helix. Richard Feynman, one of the funniest and greatest teachers of all time. 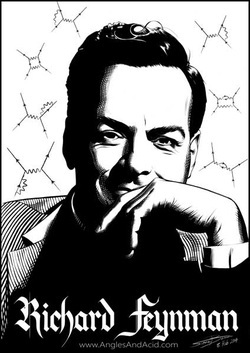 Also a Nobel Prize Laureate for his contributions to physics; Feynman Diagrams, which are little maps of all the possible variations of interactions between quantum objects (e.g. electrons) such that physicists can keep track of which ones to calculate and their probabilities of occurring. The master of lightning, Nikola Tesla, helped pioneer a wide variety of technologies ranging from Tesla coils, alternating current, X-rays, the radio, and many more. This illustration was made to capture his brilliant mind and confidence and inspire viewers to learn more about what he was about. 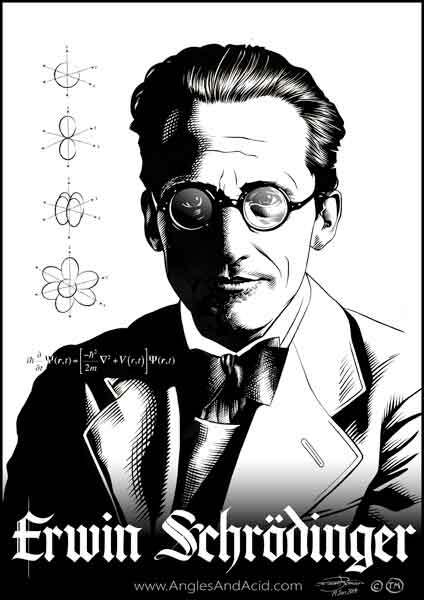 A much beloved scientist, famous for his 'Schrödinger's Cat' thought experiment, was one of the key scientists involved in the discovery of the nature of electrons within the atom. By applying the insights of his day; he formulated the Wave Mechanical Model and helped pioneer Quantum Mechanics.